Agency beat McCann and BBH in a pitch. Celebrity Cruises, owned by Royal Caribbean Cruises, has appointed Lucky Generals as its global agency. The incumbent was Venables Bell & Partners. The account has doubled in value to £45m to support a large-scale ship launch programme. Lucky Generals beat McCann and Bartle Bogle Hegarty in a pitch. Celebrity Cruises president and chief executive Lisa Lutoff-Perlo said: "Lucky Generals' passion for our business, brand and guests was incredibly inspiring. "They feel like an entirely new model of creative company that shares our values, energy and desire for innovation. With Celebrity Edge, we are embarking on a voyage of transformation – both of ourselves and the industry – and we believe Lucky Generals will be the perfect partners to join us on our exciting the journey." Lucky Generals founder Helen Calcraft added: "We are extremely excited by the chance to work with a truly progressive brand and an absolutely inspirational leadership team, in a market that is ripe for disruption." 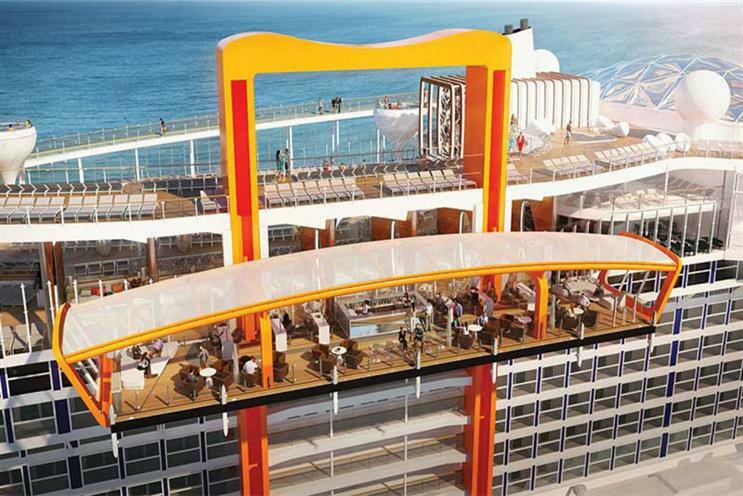 Next month, new ship Celebrity Edge will depart on its maiden voyage. It is the first of a new generation of vessels to launch during 2018-2022. The brand also recently announced a fleet-wide revitalisation project dubbed "The Celebrity Revolution", beginning in early 2019.